This is a delicious stew, perfect for a crisp fall day. 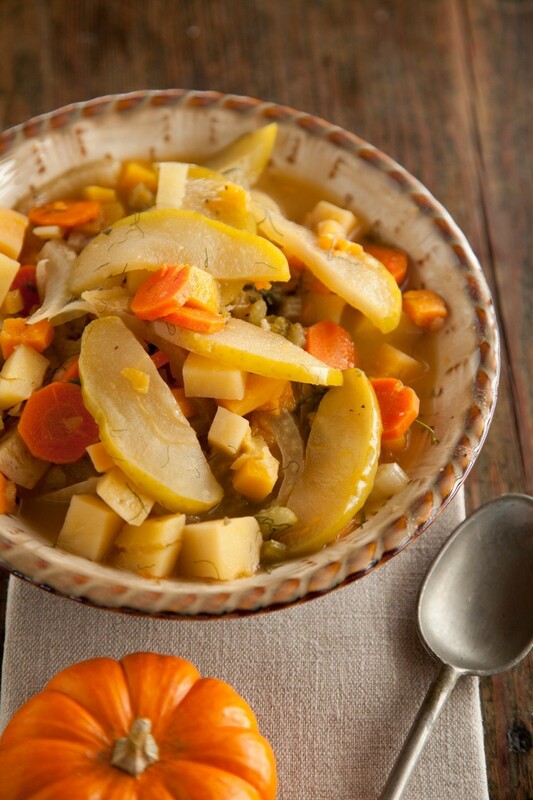 The fall root vegetables are pared with the sweetness of apple cider and apples. Add all ingredients to a slow cooker and stir to just to combine. Cover and cook on low for 4 hours, or until vegetables are tender. Do not stir.